We first encountered the team at Driving Miss Daisy early in 2017 and were immediately impressed by this franchise. 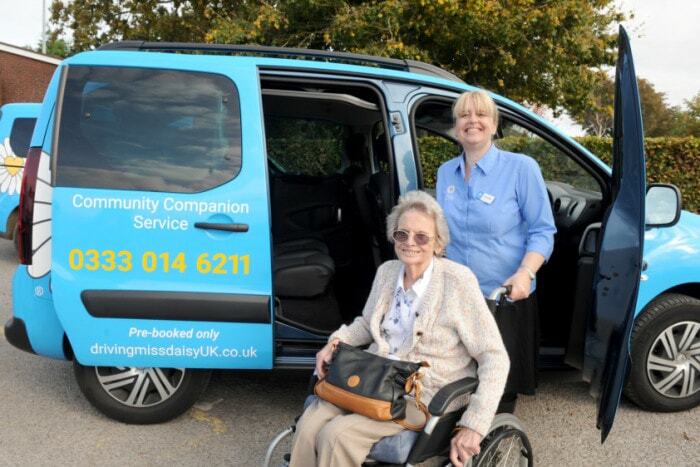 Driving Miss Daisy provides a lifeline for the elderly and infirm by visiting clients and taking them out and about for errands, visits, shopping or just to get some fresh air. They are family when family can’t be there and provide a highly appreciated care based service in the local community. The recent boom in care provision coupled with what we know about this company makes it the best care based franchise in 2018. The company is growing fast through slick marketing and a genuine market need and the distinctive Driving Miss Daisy cars are popping up all around the country. We think it’s one of the best franchises for 2018 and all the indications are that this sector will continue to grow quickly over the coming years. If you are looking to work in a caring capacity and with the flexibility to decide on your own hours and days worked then this franchise will appeal. If is also a very easy business to run either as an owner operator or a management style franchise because once one car is busy then franchisees invest in another one with an employed driver and the opportunity to establish a fleet of Daisy vehicles is very real. Originally a concept from New Zealand the UK operation is privately owned and designed specifically for the UK sector, based on the south coast the Head Office team fields enquiries for franchisees and has a brilliant team of marketers, carers, executives and a wealth of experience that benefits every franchise owner. We love Driving Miss Daisy and everything that is stands for, its the best care based franchise in 2018!